One step footbath concentrate combines the ideal amount of copper and HOOFMAX in a pre-mixed, easy-to-use solution. Stays active for up to 500 cow passes in a 50-gal bath. No mixing or additional copper is required. 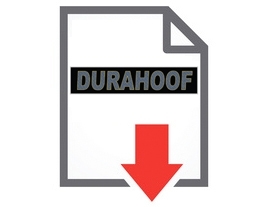 Promotes hoof hardness and helps control most forms of infectious hoof diseases. Ideal for use with the AgroChem Footbath Dosing System. DURAHOOF ensures proper Copper (Cu) chemistry for the duration of your footbath, allowing more successful cow passes with less copper compared to using copper sulfate alone.